When you get a job in book publishing, you will have to read books put out by that publisher. Some companies I was applying to, I almost hoped I didn't get the job, because I didn't want to read their books. I was lucky last year working for Soho Press. Would I get lucky twice? Well, I got more than lucky. I went back to Macmillan, but now I was working on the corporate level instead of for a single publisher, and I have literally thousands of books I could read each year (each season I have roughly 1200 books to sell, so that's about 3600 per year.) And I was even more lucky in that this publisher isn't big on really pushing just a handful of commercial books each year, but instead, seems to think that if we are left to mostly read what we want, we'll be more enthusiastic in what we sell (which I've found to be totally true.) There are of course exceptions, and a couple of times a book has been strongly urged on me, although not forced, to be sure. The only real reading assignments I have are just before sales conference. We reps are presented with a list of about 30 books. We each then pick out 4-5 we're interested in. And we get assigned 2-3 of those books. 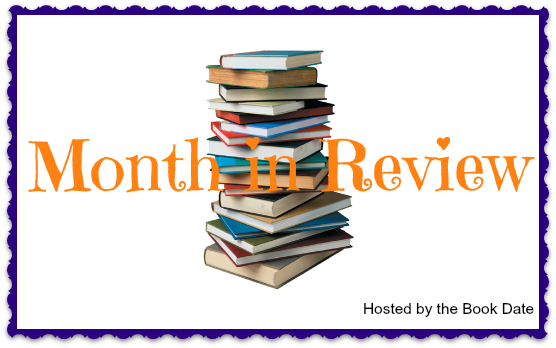 It's not a bad list in the first place as they are targeted (so the list I am looking at, as an indie rep, is quirkier, more literary, less commercial.) And then we have some say so in it. But the first time I had to do this, I was nervous. I wasn't sure if management was really self-aware enough to make the right calls and not give us a list of books that would be better in mass merchants, so I was pleasantly surprised. And then, I also hate being told what to read. I am notorious for this. Even when I am the one who chose the book club book, once it's officially picked, I officially dread it. I was assigned to read P.S. I Miss You. It's about a family I will describe as "Super-Catholics" (I was raised Catholic myself, but in the South, where we tend to be more mellow about things since we're a minority.) The main character is Evie, the younger of two sisters. Her older sister recently got pregnant (she's in high school) and was sent away to Virginia to live with an aunt. Their parents now act like they only have one child. So when Evie starts having questions about a girl friend who she might like-like, and also starts doubting her faith (after all if their religion is why her sister's been sent away, when Evie knows her sister isn't a bad person, what does that say about their religion? ), the last people she can talk to is her parents. Without a lot of options, she starts writing letters--actual paper letters since their aunt's house is in the boonies with no internet--to her sister. I don't want to give away any more. But I will say that what started off as relatively light in tone, becomes rather dark towards the end, to the point where I was just sobbing at the end. I do not remember the last time a book made me cry like that. A single tear, or tearing up, sure. But this was rip-your-heart out, gut-wrenching, bed-shaking sobbing. In fact, I had to leave the bed and go into another room because while I was managing to cry softly, I did worry the bed shaking would wake up my light-sleeping husband. Granted, this book is not for every middle schooler as the subject matter is pretty tough. Although at that age, I adored a book that would make me cry (Bridge to Terebithia, Where the Red Fern Grows, With You and Without You, Tiger Eyes, You Shouldn't Have to Say Goodbye, I could go on and on.) But for the more mature preteens, this book will be a real stand out. The emotional resonance was like nothing I've read for a very long time. It's been six months since I read this, and it still really stands head and shoulders above the other books I read this year. I'm just sorry you all can't run out and read it right now. 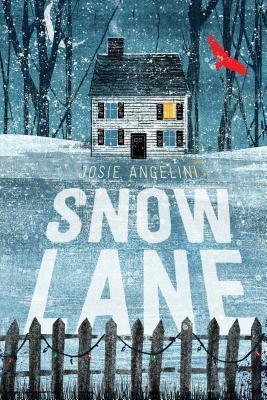 Although you can preorder it or put it on hold at your library, which you really should do, because it's truly excellent. Annie is a darned cheerful kid. And the more you learn about her life, the more you realize how she's an awfully resilient kid to be so cheerful in the face of her situation. She's the youngest of nine in a very Catholic family in Massachusetts, and of course they are struggling. She doesn't have any shoes to wear to school when it starts in the fall until an older sister takes pity on her and buys her a pair with her babysitting money. On the weekends her whole family is trucked out to the family's farm and has to work at farming all day, often on little to no food. But they're cheerful, they mostly all love each other (she has a couple of sisters who are brutal), and she has friends. She has issues at school, too, as she's dyslexic, but luckily someone noticed what was wrong and so she's actually in advanced classes. And just as you're thinking that well, none of this is great but it's also not terrible, one more shoe is dropped. When their mother is stressed (and with nine kids, when is she not?) she loses her temper. And hits them. And I don't mean spankings, I mean she beats them. And eventually, the authorities get involved. Boy, Annie is an inspiration! She really is doggedly optimistic, but not in a Pollyanna-ish way. She doesn't pretend everything is great when it isn't, but she makes the best of a bad situation. She's so endearing and sweet and funny, that I just wanted to swoop right into the book and hug her (if not foster her.) So this is a book with a harsh reality and with a dark secret at its core, but it isn't a dark book at all. You're worried for Annie at times, but I never was sad or traumatized. Annie's just so gosh-darn resilient that you know she's going to get through all this—the big question is how. I am not a parent so you wouldn't think I am the audience for this book but it was utterly fascinating. Sara and her husband moved to Germany for his work, along with their baby. It takes them a while to get settled in. but once they do, everyone starts asking Sara when they're going to enroll their toddler in preschool/daycare. Sara is confused as she's not working so she had assumed that she was taking care of their daughter, especially since a mother is the best and most important person in her world and in the best position to provide her with everything she needs, right? Right? Well, that's certainly not the assumption in Berlin. 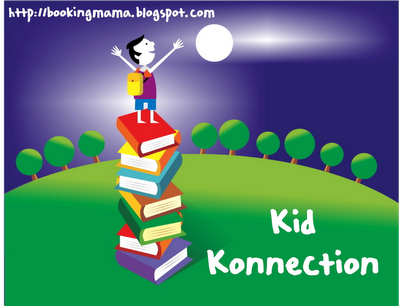 Instead, it is assumed that the child will learn from her peers and learn how to navigate social settings, along with a lot of other benefits, and it's kind of crazy not to send your child to school. So, Sara realizes she can pursue her long-delayed dream of being a writer and send her daughter to daycare, only to discover she's pregnant again. So now she gets to navigate the German system from scratch, learning about how your register at the hospital ahead of time, even for a home birth, so if things go awry and you end up at the hospital, you aren't trying to fill out mounds of paperwork while in active labor. She meets her midwives, and the one for after the birth is especially helpful in showing Sara how, by not saying no to her son at all to anything during the day, she was in part creating the situation where he screamed all night. It's not Ferberizing, but it also isn't attachment parenting at all. Which makes sense, in a country where people park their strollers with kids in them outside a restaurant or coffee shop before they go inside to eat and see friends. And that's not the only baffling thing Sara experiences in the five years of raising her kids there. in kindergarten children do these long, complicated projects where they have to not only learn about a topic they pick out, but figure out what they're going to learn, and where they're going to get the information from. She's confused that one of the topics to be mastered in grade school is "traffic and mobility" until she discovers that, by third grade, her daughter is the only one in her class whose parent is still walking her to school. All the rest walk or bike themselves to school, crossing busy streets, some of them going further than a mile. Then she gets a permission slip asking if it's okay for her daughter to use matches at school in a section about fire. That's after the section they've already done on knives. Obviously, Germans value autonomy and independence above all else in school. And while Grammar and math might take a back seat in the first few years (they don't really care if a child hasn't mastered reading by the end of first grade, figuring he/she will learn eventually when they're ready), scores on international testing, the same tests where Americans score abysmally so we add more testing, and our scores get worse, they do pretty well. A big part of this mentality comes from the understandable very strong anti-totalitarianism mentality in Germany. And there are still some residual differences in the former East Germany, where, for example, the rates of day care use are highest, as under communism all women worked. 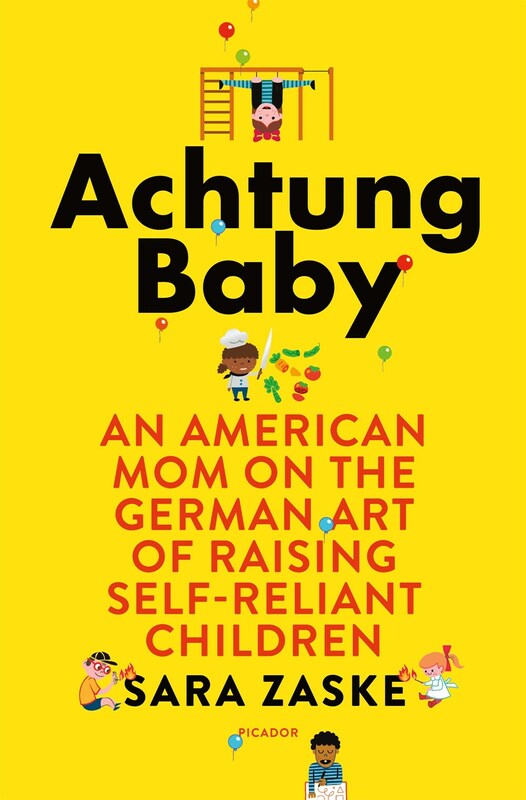 While the book is pitched as a parenting guide for parenting the German way, I instead read it as a memoir of moving to Germany with a young family, with a side of sociology about the educational field. And as someone childless by choice, I thoroughly enjoyed it. I read it in just over one day. Couldn't put it down. And couldn't stop talking about it for weeks afterwards, thoroughly annoying all my friends and family. Emma finds a magical book and everything she writes in it comes true! 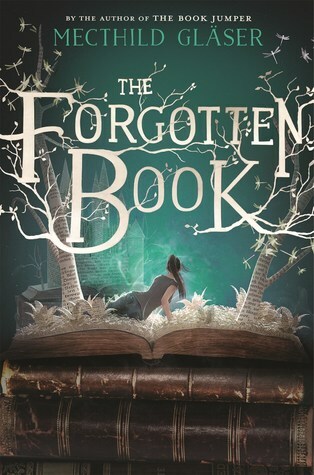 But someone else wants the book and she, with the help of the handsome and arrogant Darcy, needs to uncover the secret before she is killed for the book! Emma is the headmaster's daughter at an old boarding school is a castle in Europe. Initially, she wants her best friend's first year at the school to be terrific, she's interested in Frederick (a Wickham-type), and she does what she can to help her father's school look it's best for new and prospective students. Then Darcy shows up. His family donated the castle, with some rights retained, and he was a student himself just a few years ago, and is back looking for clues about his twin sister's disappearance, when they were sixteen. Emma gets pulled into the search. Yes, this is another Jane Austen-inspired novel. The main character is Emma and her father's a hypochondiac. Darcy is haughty and at first his best friend is interested in her best friend but then he's told something untrue and drops her. They're in a Gothic castle which might be haunted. So it riffs on multiple Austen novels, not just one (Emma, Pride & Prejudice, and Northanger Abbey in those examples). It was a fun treat, and is an enjoyable read for any teen Jane Austen fan, and the non-Janeites won't even notice the references which are just fun and not remotely important to the storyline. This book is published by Feiwel & Friends, a Macmillan publisher, my employer. This is one of the Macmillan books that yes, I did read for work, but I actually already had it on my To Read list before I started working here, and I was thrilled when the paperback was coming out and I had an excuse to read it. 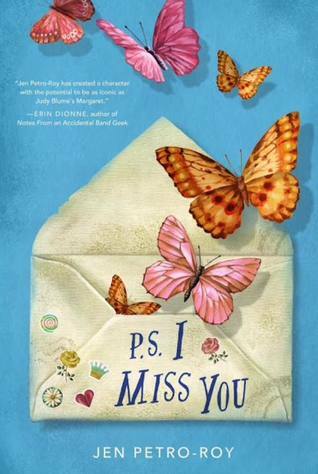 I found the book refreshing and uplifting, without being remotely sweet or cheesy or manipulative. It's helpful if you've ever walked around New York, particularly if you've lived here. but not necessary. Every city we've lived in has its touchstones, its landmarks, its empty lots where such-and-such used to be. 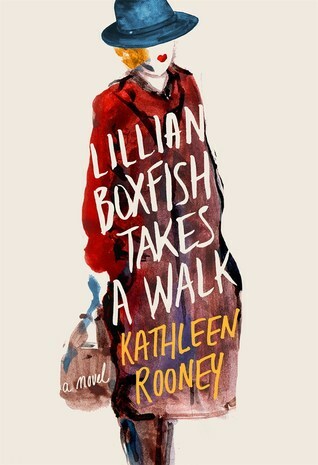 And this is a wonderful homage to a time and place long gone, in a place yet still around, where new young female advertising executives are taking their first tentative steps up the career ladder, and you can see them in Lillian's reflection. I got this book for free from my work, Macmillan, which is the publisher. This perhaps wasn't the best book to listen to. I thought it would be great--Australians marking their place in exploration, sensibly in the place closest to them (Antarctica), and also as an exploration story, Antarctica is nice because it's the one place where you don't have any displaced and possibly tortured or murdered natives. And this in particular was an impressive and harrowing detail in history, when Douglas Mawson lost the other two members of his expedition crew and had to make his way back to the ship, alone, without dogs, and with very little food. 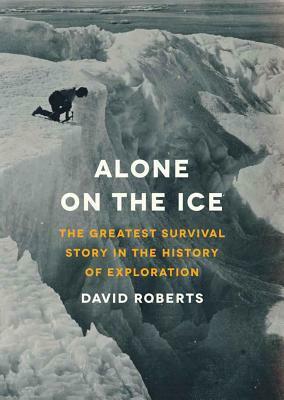 One man (and sledge and dogs) fell into a crevasse as shown on the cover. The other succumbed to illness. Unfortunately, I had a lot of trouble keeping the men straight, keeping the timelines straight, and I often would think, "wait, didn't that already happen?" Just as tromping day after day after day across whiteness can become a lot of the same, even when it's land no human has ever before laid eyes on, the book also had an inevitable feeling of monotony, which is not good on audio. that said, I still did enjoy it, even if I feel I missed large bits, and I did finish it. But I think it would have been better to read in print. 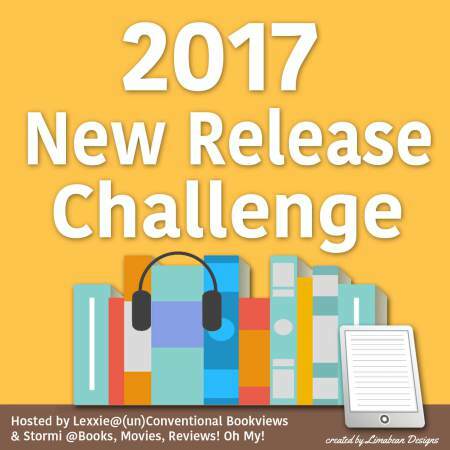 I downloaded this eaudiobook from my local library via Overdrive. So last year I thought this year the challenges would be better because of no cross-country move (did move cross-town though) and yet, I knew I was going to have some issues, chiefly among them that last January I was unemployed and did not know where in the publishing world a new job would take me. As it happened, my new job took me to a Big Five publisher, where I am reading an absolute ton and almost exclusively one publisher and almost exclusively new releases. Which made some challenges more challenging than others. I also ratcheted down my number of books from 100 to 80 which is a huge joke since I read more than 130. Overall, I read a lot, very few stinkers this year, and even though I didn't finish all of my challenges, I'm happy with where things ended up. 5/5 as of 12/7/2017 DONE! 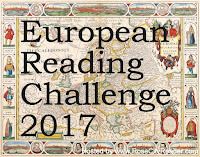 Frustratingly, I read several books set in Germany and Britain, and a several non-European countries (South Africa, Australia, Antarctica), but that fifth European country I had to work for. I thought it would just happen organically through my normal selections. 36/31 as of 10/22/2017 DONE! My new job sure did help with this, but since I now spend 2/3 of the year reading next year's books, this was a tad more challenging than you might think. If I could include next year's books as well, I would have practically won this one. Cutlery was just too obscure a category. I did find a couple that I could have read: Spoonbenders by Daryl Gregory or The Disappearing Spoon: And Other True Tales of Madness, Love, and the History of the World from the Periodic Table of the Elements by Sam Kean, but neither of them were books I was dying to read, and in this new world where I have to read a TON of books for work, neither struck me as a book worthy of knocking a work book off my TBR list, so I didn't finish. But I came close! 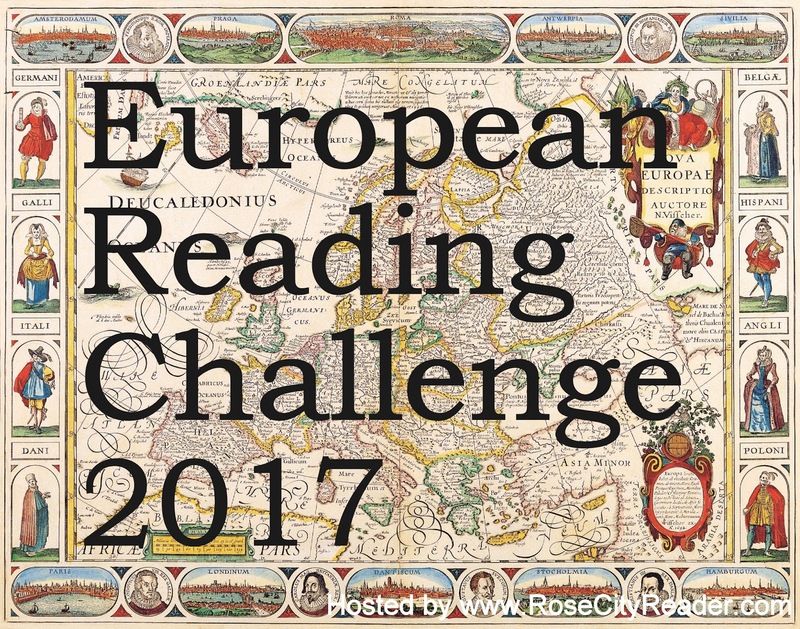 I might try this one again next year, just to see what I will happen to read. 7/20 as of 10/22/2017 Well in the end this year this just wasn't as important to me. I am not pining away for these and I think next year I will cut this back a lot to just a handful. Although I don't know that I would have gotten to the excellent Candice Millard without this challenge. So it's nice, but just not necessary at the moment. I think really having done this for a couple of years really got those frustrated books finally read, and so I'm not feeling that as much now. Candice Millard knows how to tell history like nobody's business. She really is truly top-notch. And yet she isn't in the pantheon of historical biographers: Chernow, Isaacson, and Meacham. And I think it's because she's found a more unusual, more interesting niche for herself. Could she write a straightforward biography encompassing all of Winston Churchill's life and make it utterly fascinating and compelling readable? Without breaking a sweat. Yet, she takes it a step beyond that. She takes on not a super-obscure or super-well know subject. 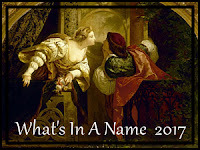 She takes on a super-well known subject and finds an obscure but pivotal time in his life (they've all been hims so far) and elucidates that moment. 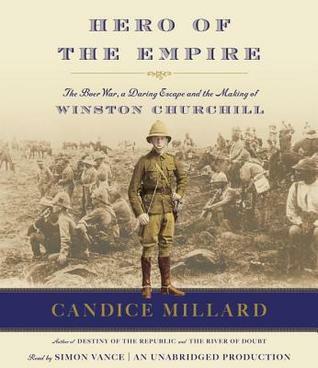 Yes, with President Garfield, the moment of his assassination wasn't as obscure (although as far as her subjects go, he's the least known), but to cover Theodore Roosevelt's amazon exploration and now Churchill's time in the Boer War, she manages to cover something not bizarrely tiny and far-flung, but something significant and yet overlooked. Those sorts of topics take a keener eye. In this book, young Churchill sets out to make a name for himself, after having decided he wants to go into politics, but failing the first time he tried. He knows without some major accomplishment in his life, ideally a military one, he will always be in the shadow of his father, and will have his work cut out, trying to gain a foothold in British government. So when war breaks out in South Africa, he is super eager to go. So much so that he signs on as a reporter (he is a good writer and he doesn't want to get killed) to go right away. And while there, he is captured along with a a troop he was embedded with. Two men come up with an escape plan, and Winston hears about it and wants in. But when it came time to execute it, Winston was separated from the other men, and ended up being the only one to actually escape. Which is not so good as he only had a couple of chocolate bars and his name. He didn't even know the rest of the plan to get back to British-held territory, and he also now had zero supplies. So what he thought would be a heroic escape became suddenly quite perilous and nearly was his undoing. I learned so much although I fear I will never, ever truly understand the Boer War despite efforts to do so. (Was first inspired upon reading The Forsyte Saga.) And it was a tad dense for audio perhaps, as I didn't notice at the time, but upon reflection back I think I missed some things. But it was a rip-roaring escape story, but one with consequences and real history at stake.I wish she'd write faster, but she does such terrific research, I can see why each book takes a while. 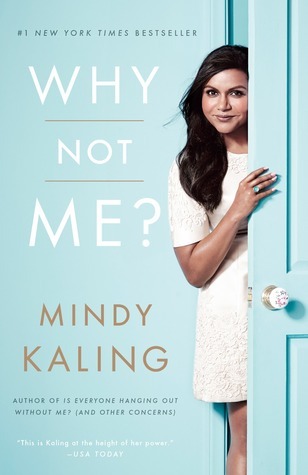 Still, I wish she had a ton of backlist I could dive into. I've rarely had a book that was this kind of up-and-down for me. Parts of it I thoroughly enjoyed, and parts made my eyes glaze over and were a slog. 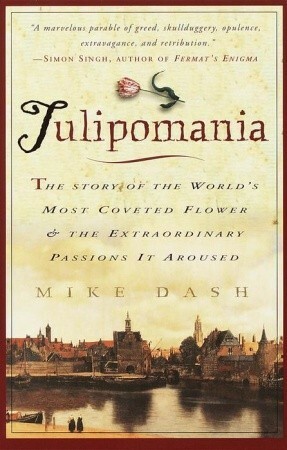 It's a history of the tulip bubble in the Netherlands in the 1630s. I thought with my slight background in economics, I'd be just fine with it. It started off with a fascinating history of tulips and where they came from and how they eventually, over hundreds of years, got to the Netherlands. Also how they got to looking like tulips, and how the more interesting tulips happened. But there was a bog down when explaining guilders and how to try to compare them to contemporary money, which for me was pretty much a fail. There are no apples to compare to. In a time when it was common to own a horse but only 2 outfits of clothing, there just aren't good benchmarks to hang any kind of exchange rate to. But the middle eastern rulers who first discovered how awesome tulips are were utterly fascinating in a trainwreck kind of way. So anyway, I stopped a couple of times, and had to push myself to finish. I did learn a lot (and at the end he talks about a slightly later tulip bubble in France, one a century later, and he goes back to the Turkish rulers who still loved the tulips and why they fell out of power, which was a fun note to end on, although not happy per se.) I'm glad I read it. But it felt a bit like a book I was reading for school. Like I knew it was good for me and I knew I'd appreciate it if I saw it through (which was accurate) but I wasn't always reading it because I was enjoying it. I have owned this book for a long time. No recollection how I acquired it but if I had to guess, I'd bet I bought it at an independent bookstore, although since I acquired it in 2011, it's also a likely I got it at a Borders GOOB sale. My brother sent me the Rough Guides to Argentina and Antarctica in preparation for our crazy family trip next month!